Chrome OS is one of the best examples of how technology is becoming simpler and more accessible to people that might be on a bit of a budget and would not be able to afford some of the heavier devices out there yet still need high level functionality that would enable them to make the most of the task at hand. Microsoft has taken note of this and has been coming up with a simpler, streamline version of its OS as well which is called “Windows Lite”. Windows Lite seems to be changing things up in terms of both aesthetics as well as overall functionality. One thing that is definitely happening is that Microsoft is attempting to simplify its OS as much as possible and turn it into something that could potentially be usable on lighter devices. Live tiles are going to be on their way out because of the fact that they tend to make the OS a bit on the heavier side of things. 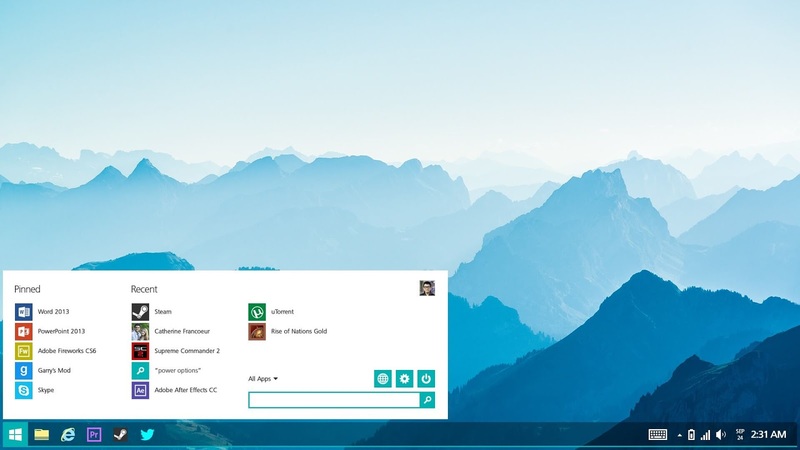 We are also getting a much more old school start menu, one that is reminiscent of the ever popular Windows 7 which is widely considered to be the best version of Windows ever made. The aesthetics are reminiscent of Windows 7 as well. Microsoft seems to be dispensing with the angular designs of Windows 10 and going for some softer curves. Overall the OS looks beautiful and retains all of the things we love about Windows whilst dispensing of the things that we either don’t use or don’t like. Chances are that people might start switching to Windows Lite permanently even if they have devices that can potentially support an operating system such as Windows 10. This OS looks that good!